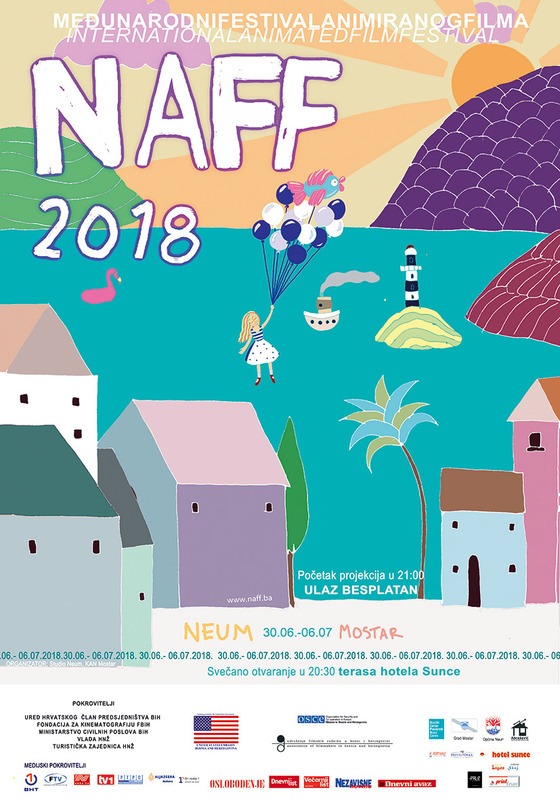 On the second day of animated film festival in Neum, a master-class was held by Mr. Predrag Solomun who is a professor of editing at the Academy of Arts, University of Banja Luka. In his master-class he spoke about editing and its undeniable importance in the process of film creation and film idea. However, today there are many films where one person is multifunctional and works as a director, animator and editor all at once. Many films this year on NAFF were made this way. If we were to compare all the festivals of animated film in the region, we could notice how the criteria and the films in the program tend to be very different. Somewhere it is experimental films that dominate the overall program whereas sometimes it is a more audience-biased selection. It all depends on the selection committee.